The most important thing to do before starting the semester is to make sure your focus is grounded in Christ. Make time for daily devotions. You can create your own reading guide or find one online that works for you. By starting the semester off focused on God, you make it easier for yourself to continue devotions even when school begins to pile up. Check out our article on why God is important at school. 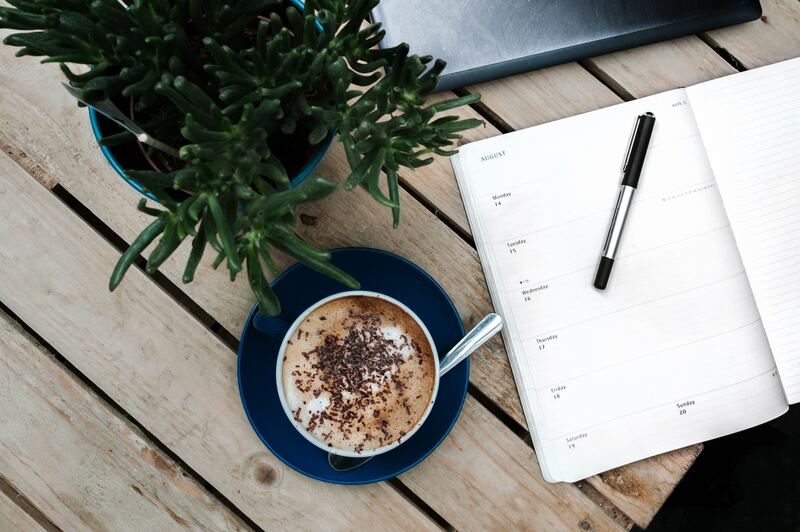 Buy yourself a fresh 2019 planner and take time to write-in your new class schedule, important deadlines, and social events. This way, you'll have all of your dates, goals, and to-do lists in one place. With a click glance, you can make sure you're not overbooking yourself or forgetting to study for that quiz. Check out bullet journals, if you haven’t already, and finally, search the app store for apps that’ll suit your study and organizational needs. Not only is it important to keep your schedule organized, it is also important to keep your room, book bag, and notes organized. A clear work space is the first step to a clear mind, and it shortens the amount of time you'll have to spend searching for those pens you always lose! Buy a few stacking drawers, a pencil case, and a new notebook for each class—and use them! You'll find yourself working and thinking more efficiently. It's hard to stay healthy this time of year, and all-nighters paired with poor diets and minimal exercise will make it harder. As break comes to a close, and cookie jars begin to empty after the holidays, make a point to start the semester off well-rested and with well-balanced meals. Go outside every few hours to take a walk and breath some fresh air. Don't forget to drink water! Everyone studies differently; some work best in groups, while others work best by themselves. You may need complete quiet or a little bit of background noise. Find out what works best for you, whether it's at a desk in your room or a table at your local library. Use the first few weeks to try out different atmospheres. Once you've gotten into a groove, use that momentum to push you all the way through finals! Don't forget to find a study playlist that helps your focus. PHC students tend to enjoy Gregorian Chant, Baroque, and blockbuster movie scores. Have any more suggestions? Let us know what you're doing to prepare for the upcoming semester. Tag us on Twitter or in your Instagram photos!